Here at A&A, We Move Machinery. It’s Simply What We Do. From Local Machine Shops to Large Industrial Manufacturing & Pharmaceutical Plants. Loading a 22,000 lb. 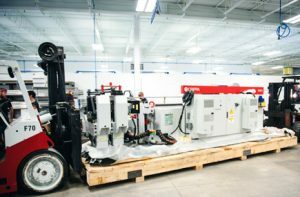 Amada Turret Punch press brake with a Versa-Lift & extended boom. We’re your machinery moving experts. 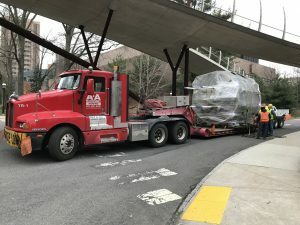 It doesn’t matter whether you have a single machine or entire plant, we’re the machine movers and riggers your project needs. 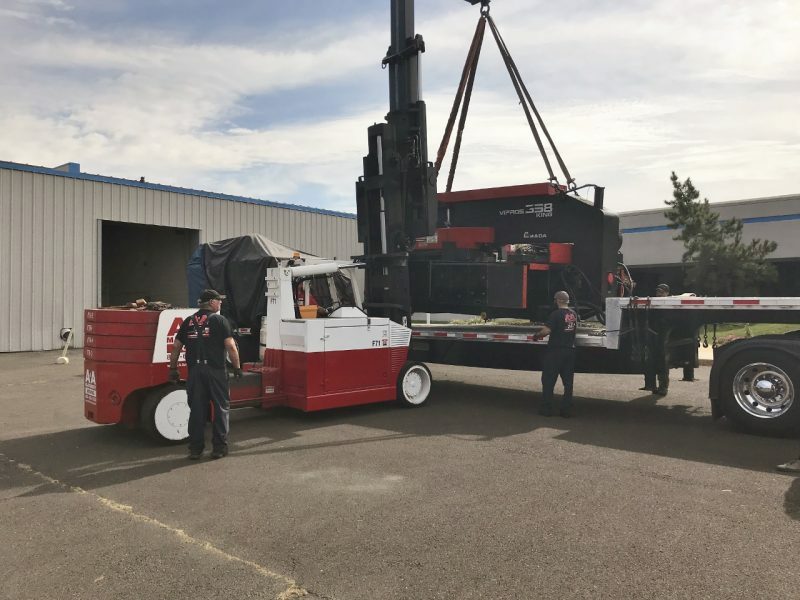 Our highly-skilled team of machinery movers can move or remove any size machine using decades of experience in the field. Plus, our innovative inventory of rigging equipment allows our crews minimize disruptions and downtime to your operations. 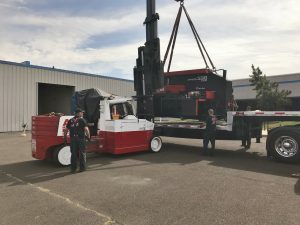 As a full-service machinery moving contractor, our craft professionals, riggers, and millwrights can assemble and erect your machinery and equipment. Our crews can also perform the utility connections, leveling, aligning, and anchoring. If your project requires relocation or removal for redeployment, we bring considerable value to the project. Based on experience, we’ve developed proven match-marking systems and processes, providing you efficient re-installation and problem-free startups. Our customized approach protects your equipment and delivers dependable machine moving services. Our turn-key service eliminates having to hire multiple contractors for your project. Our project managers strategically design a solution for successful project completion, from start to finish. We’re safe and courteous. A&A Machinery Moving is qualified through all of the major 3rd party agencies such as ISNetworld, Avetta, and Browz. We know how to safely manage our work and projects so you don’t have to worry about additional hazards or risks to your staff. All of our services are designed to meet or exceed OSHA safety requirements. Our safety as a team is a key factor of the A&A Difference. Hauling an 18ft. long, 11ft. high vessel (declared value of $5 Million) from a local University physics lab on a double-drop trailer. As an added benefit to our customers, we provide machinery warehousing and equipment storage. Have new machinery or equipment coming in? We can receive items and store them at one of our three warehouses. When your project schedule is ready, we can deliver to your job site and rig into place. If you need machinery and equipment removed from your facility, but don’t have a ‘home’ for it yet, we can provide short or long-term storage. A&A Machinery is an authorized ISMP-15 export packaging contractor. We can provide crating and skidding services for your machinery for transport, including export packaging. When you need machinery moving services, A&A Machinery is your team. Discover the Difference. © 1990 – 2019 A&A Machinery Moving, Inc., and A&A Machinery Sales, Inc., All Rights Reserved.